Our hope: "Human-friendly medicine for people in the world." Our efforts over the past half-century have been dedicated to pursuing happiness of everyone seeking a healthy life. We supply medicine that cures and prevents diseases together with a wide-range of information and innovative ideas. Our medicine also meets the needs of patients and is convenient for medical professionals. We, Sanwa Kagaku Kenkyusho, promise to pursue our mission statement by creating and providing this kind of medicine for the world and by enhancing our chemical and scientific knowledge we aim to achieve the ultimate goal: creation of well-being for all people. Aiming to be a"Total Health Support Company"closely related to the life of people wishing good health. SANWA KAGAKU KENKYUSHO provides services with the aim of improving QOL of people wishing good health, ranging from prophylaxes to diagnoses and treatments, centering on the two main businesses "pharmaceuticals" and "diagnostics." " We continuously provide drugs which can contribute to the improvement of lifestyle-related diseases and generic drugs with high added value in consideration of medical needs/patient needs mainly in the areas of diabetes and kidney diseases in the "pharmaceutical business," and a glucose meter/sensor for self-monitoring and diagnostic agents in the areas of infections/pediatrics in the "diagnostic business." 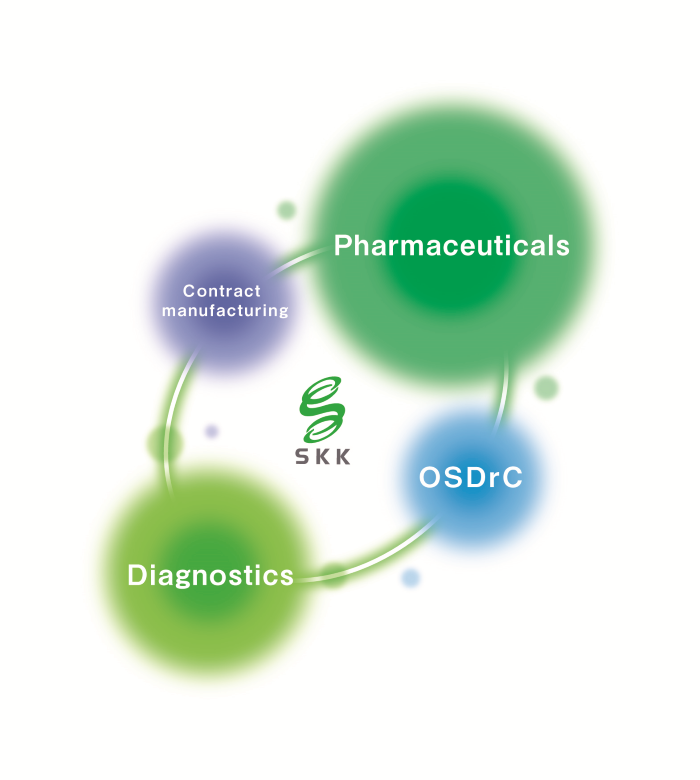 By adding the two businesses, the"OSDrC*"utilizing innovative drug formulation technologies and the"contract manufacturing business"under a high-level quality management system, SANWA KAGAKU KENKYUSHO is continuously evolving. *OSDrC: stands for One-Step Dry-Coating. The technology enables manufacturing of dry-coated tablets in one step by using the OSDrC rotary tableting machine with variable double punches.